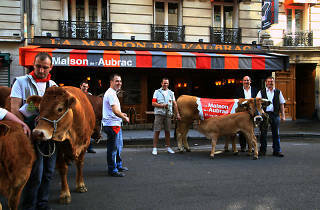 Aubrac is a region in the Massif Central with its own race of cattle, a Charolais cross renowned for its quality meat. This down to earth restaurant just off the Champs-Elysées is a surprisingly good bet for quality and price given the location. Perhaps they’ve economised on the décor, which is far from luxurious. But the service is attentive and the cooking amply honours the tender Aubrac beef. Entrecôte, rump steak, tartare and bavette will all be familiar to meat lovers – or if you prefer they also do other classics like fillet of sea bream or duck confit with figs. Wine-wise, the Rhone valley is the best represented region – we particularly liked their 1998 Châteauneuf du Pape or 1999 Hermitage by Marc Sorrel. 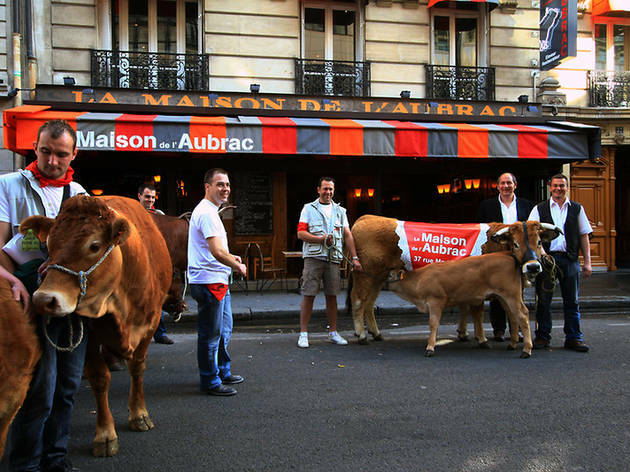 The final plus is that the Aubrac is open 24/7, making it the ideal stop-off after a heavy night out in the area.